There are two versions of WordPress wordpress.org and wordpress.com both are free, you don’t need to pay anything to wordpress. wordpress.com provides a facility to create a blog for free with subdomain it allows 3gb space for free. it also provides a custom domain facility. but it is not a free feature. wordpress.org is used for self hosted websites you can download it from official wordpress.org site and upload to your hosting account. 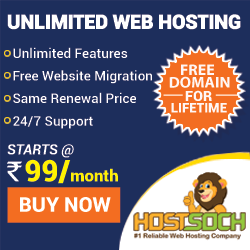 there are many web hosting sites such as 000webhost.com which provide free hosting with some limitations. I recommend you to use paid web hosting sites such as SiteGround and BlueHost they provide best hosting services and support and also recommended by WordPress. Visit WordPress Web Hosting.